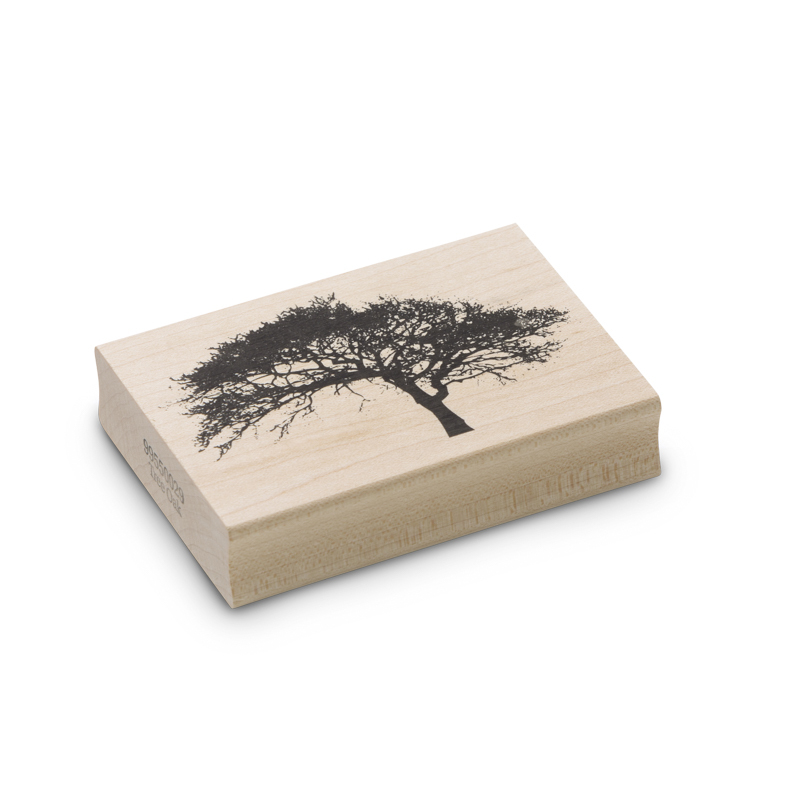 The tree oak wood block rubber stamp is good in landscape in stamping work with encaustic art. A single print brings a strong form into your wax image. 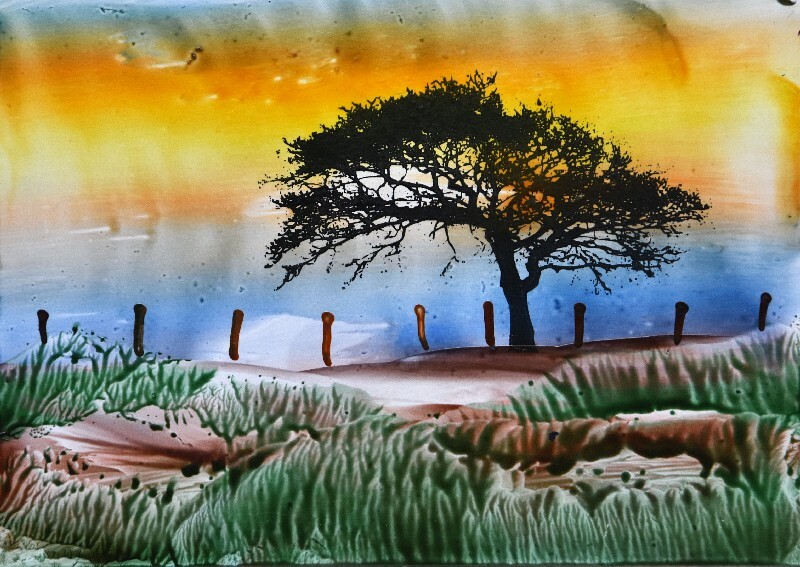 Perhaps try over-painting the inked design with a stylus, or a hair brush with hot wax dabbed onto the foliage area of the tree.